Virginia Asman was born in New York State but spent most of her life at the Jersey Shore before moving to NYC in 1995. She studied digital design after extensive studio work in the more traditional fine arts media. She has exhibited her drawings, paintings, prints and digital art in galleries, juried shows and art festivals in NY and NJ. Asman describes her art as a fusion of her work as both a fine and graphic artist. After years of working traditionally, she found her creativity unleashed by the versatility and flexibility of the digital media. She currently specialize in creating montages of her photographs and drawings by altering and combining elements to create a greater whole, both conceptually and artistically. 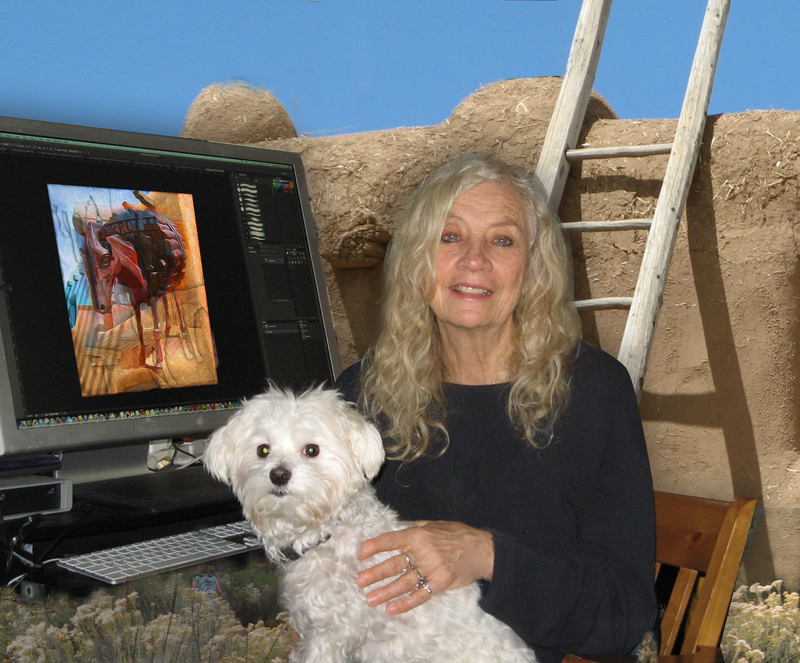 Virginia is currently “on sabbatical” in Santa Fe, NM where she is inspired artistically by the beauty of the southwest and the local artistic community.